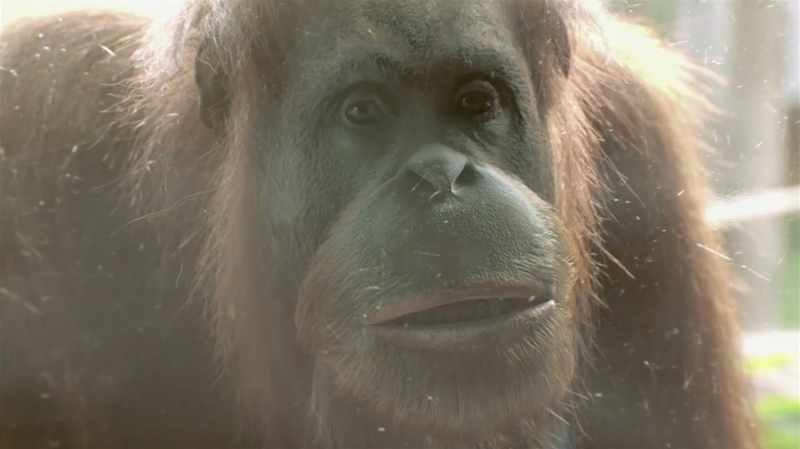 Melbourne Zoo’s orang-utans have a message for the human race: Don’t palm us off. A talking orang-utan calls humans to take action now for a future where any palm oil in Australian supermarkets is clearly labelled and is only 100% Certified Sustainable Palm Oil (CSPO) — produced in a way that aims to protect the remaining habitat of wildlife and preserve the livelihoods of producers. Orang-utans are facing extinction due to the unsustainable production of palm oil, an ingredient in around half of all supermarket products. Help fight for a future where any palm oil in Australian supermarkets is clearly labelled and is only 100% Certified Sustainable Palm Oil (CSPO) – produced in a way that aims to protect the last remaining habitat for wildlife and preserve the livelihoods of producers. The Zoos Victoria Message for the Human Race campaign was developed at Republic of Everyone, Sydney, by creative directors Ben Akers and Garry Jacques, account manager Lucy Jackson and account director Claudia Hirschberger. Filming was shot by director and editor Al Moore via Heckler with director of photography Hugh Miller, producer Bonnie Low, executive producer Will Alexander, VFX supervisor and 3D lead Mick Watson, 2D lead Jamie Watson, CG supervisor, fur and lighting technical director, character modeller and texture artist Bryn Morrow, 3D animator Chloe Tse, 3D tracker Danni Jialing, compositing team Maxence Peilon, Filipe Marques, Tim Parsons, research and development director Ian Watson, I/O Simon Collins and coordinator Georgina Selby. Sound was designed at Rumble Studios by Anthony Aston.